Tasting Note: The grapefruit was not discovered until the 18th century and botanists believe it is the result of cross-breeding sweet oranges of Barbados with the pomelo, a citrus fruit native to Indonesia. The British knew that not only was this new fruit delicious, it was very good for you too, with sailors and explorers favouring it over lime and lemons due to its natural higher vitamin C content. 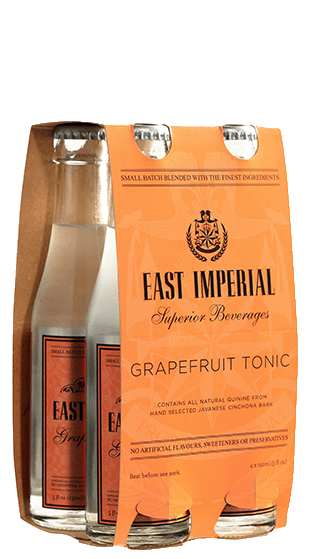 We recommend pairing Grapefruit Tonic with traditional London dry gins and citrus-forward spirits.